Too often it's easy to get stuck in your comfort zone. You have your daily routine, your favorite foods and planned meals, you have your hobbies and weekend activities you like to do with the kids or your significant other, you have your group of friends and the people you are comfortable with, you know your favorite places to go out to eat and your favorite tv shows to watch, and it just feels good to know that nothing will catch you off guard. This is your life- it's great the way it is, you know what to expect, and why fix something that isn't broken, right? Being comfortable was never something that was intended for us as human beings. The second we are comfortable is the second our guard is down, and that is when comfort can cross the thin but dangerous line into complacency. Complacency. The word every entrepreneur and business owner fears the most. As an artist, it can be easy to get stuck in a comfort zone. They always tell you to find what you love and get good at it and to "be consistent!!". But once you've hit that wall of consistency, once you feel yourself thinking "I could do this in my sleep", that's when it's time to push yourself to try new things and do something that stretches you. That makes you think, that makes you grow. It's so easy to get good at what you do and to stay wrapped in that security of knowing you can deliver what is asked of you every single time, but I challenge you- do not let yourself get stuck there. Find something you struggle with and make a goal to conquer it. Try new ideas and new techniques, take on new jobs and tasks and clients that cause you to think outside the box, and never let yourself think, "I have reached my full potential. I have learned all there is to know." 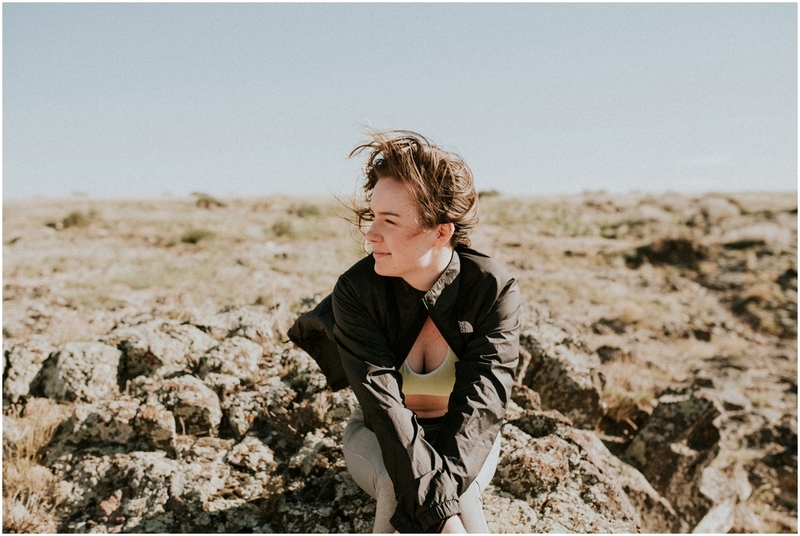 This last month I took my dear friend Megan out to Swan Falls for a session that I knew would let me try new things and get out of my comfort zone. 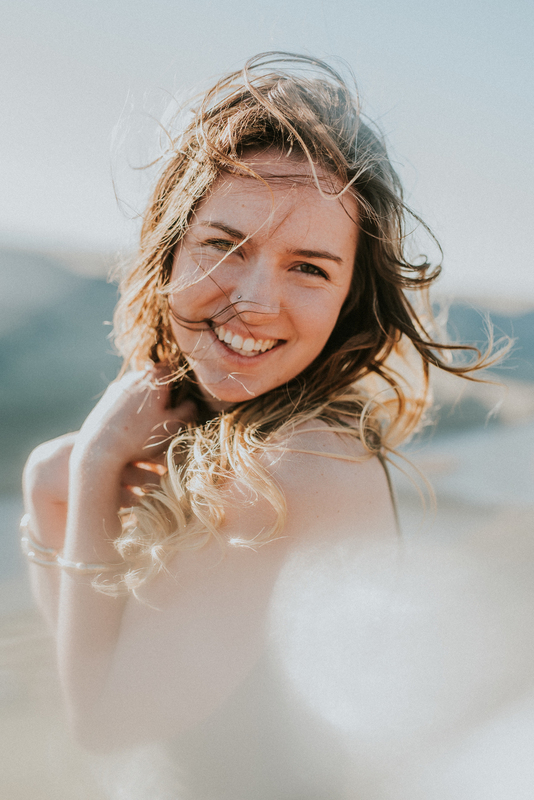 Scrolling through my website or instagram it's pretty apparent what my style is- neutral earth tones, flower crowns and boho dresses and skirts, windblown hair and gorgeous back lighting with sun flares at golden hour. But with Megan I decided to take a different approach. 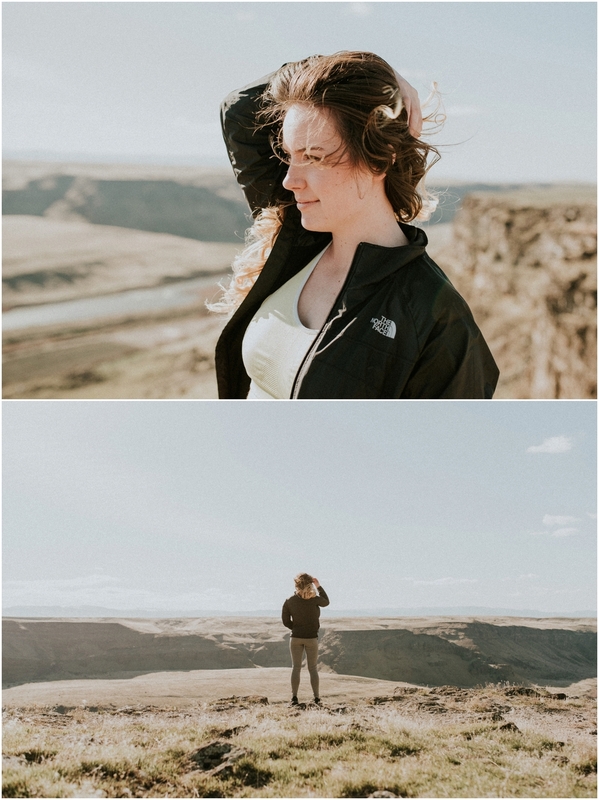 We shot in harsher light conditions with the sun high in the sky, and Megan wore various athletic gear. It might seem silly to an outsider, "You're a photographer, can't you just take pictures of anybody?" but truth be told that's not the case. There are always going to be certain things that inspire me that don't inspire you, and vice versa, and for me (no offense to the athletes out there) but that kind of wardrobe just doesn't get my creative juices flowing! Nevertheless; it was fun, it was challenging, and it felt good to have some change. Of course though, I couldn't help myself. 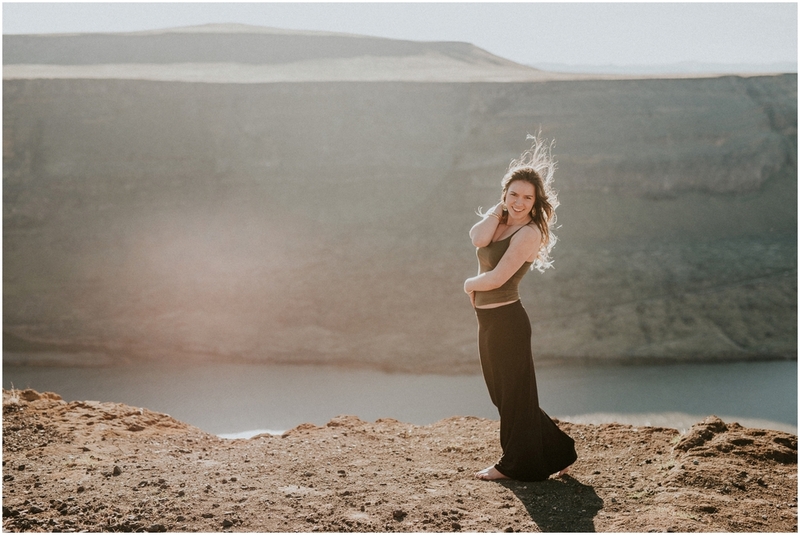 Before we left, I satisfied my inner flower-child and my love for skirts and boho jewelry and still ended the night in my element, with the sun low in the sky, bathing Megan in a soft golden glow as the wind whipped her hair and skirt into a frenzy. It's great to push ourselves, but that doesn't mean we have to stop doing what we love most.